Jim McCaul -- Donald Trump’s presidential win and Republican sweep of the US government in November – along with OPEC’s oil production cuts in December -- have injected new dynamics into the US energy sector. The upstream investment environment has improved -- Time is needed to really understand the impact of the Trump win and future Republican control of the three branches of the federal government and control of most state legislatures. But it’s clear that the new administration will be more energy industry friendly and government policies will be more oriented toward promoting domestic energy development. And it is also clear that the OPEC agreement to cut output to raise oil prices will help support capital spending on many of the more promising upstream oil projects that have languished over the past two years. The spot Brent oil price is back to the mid $50s and the futures price five to ten years out is in the low $60s. Taken together, a more industry friendly administration and higher oil prices have set the scene for an acceleration in upstream spending. What changes can be anticipated in the new administration? The tax advantages accorded the oil and gas industry in the US will very likely remain in place – probably expand. These include expensing of intangible drilling costs, a favorable tax rate for fossil fuel production, advantageous depletion provisions and accelerated amortization of geophysical expenditures. Together these tax breaks are estimated to lower US oil/gas industry costs by $5 billion annually. The current US administration has been trying to eliminate all or some of these tax breaks. The Trump administration will likely retain all the current breaks and probably add more – with the goal of stirring additional investment in domestic US oil and gas development. More industry-friendly regulatory policies will also likely be adopted to encourage domestic oil and gas development and environment regulations imposed on US oil and gas production will likely be reduced. The recently finalized rules for reducing methane leakage from oil and gas production on US federal land, for example, will likely come under new review. These rules would impose significant cost on producers and the incoming administration will likely call for a new review to see if the costs are justified by the benefits. 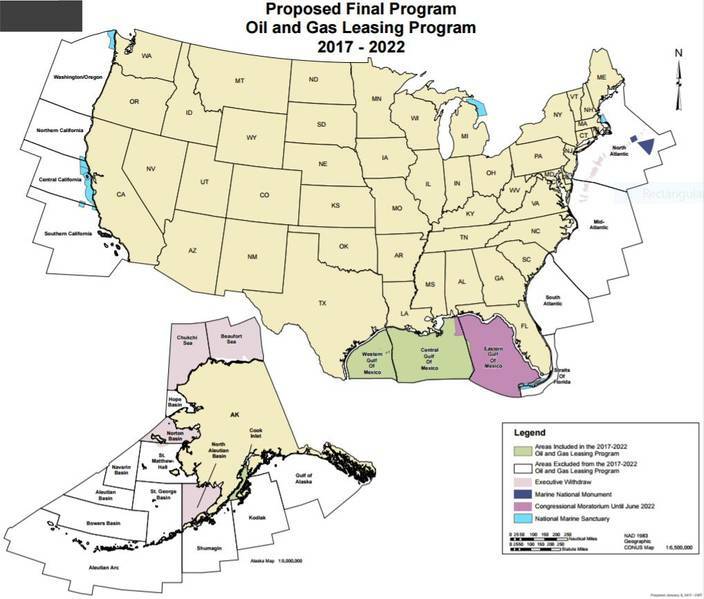 Many other oil and gas environmental rules, both onshore and offshore, could be up for review when the new team takes over in 2017 – and a lowering of the environmental bar would likely accelerate US oil and gas development. Then there is the threat to take a hard line on national security and international trade. The new administration could reopen the Iran deal and create new barriers to Iran oil exports. Or there could be barriers to reduce the flow of oil imports to the US to increase opportunities for US producers or tariffs/quotas to penalize out-of-favor oil exporters. These and similar actions, if they occur, would likely cause near-term acceleration of US domestic oil development – though they could also disrupt international oil trading and increase volatility in oil pricing. Which energy sectors will benefit? -- Overall, with the exception of renewable energy, it is likely that the incoming Trump administration will be positive force for accelerated energy development in the US. But the benefits will not be evenly distributed. Offshore oil and gas development in the US – which has come to a standstill over the past two years – will regain momentum as a result of more industry friendly policies, reduced regulatory barriers and improved pricing environment. A dozen deepwater projects in the Gulf of Mexico, are at various stages of planning – and the improved investment climate should accelerate the project investment decision in at least half these projects, all of which entail multi-billion dollar capital expenditures. Barriers preventing drilling in federal waters offshore the East Coast could be relaxed, opening contract opportunities for drill rigs and support vessels, many of which are now laid up. Oil sands projects could get a boost from approval of the Keystone XL pipeline -- rejected by the current administration but likely to get support in the new administration. Keystone XL would provide western Canadian oil resources expanded access to the US Gulf market, increasing the competitiveness of Alberta oil sands development. This, along with rising oil prices, could reinvigorate Canadian oil sands activity and cause more investment resources to flow into tapping the estimated 166 billion barrels of proven unconventional crude reserves in western Canada. Domestic coal production could get a kick start. The new president has said he will encourage development of domestic coal production by reducing regulatory barriers – including cancelling the Clean Energy Plan that would force US power plants to significantly reduce CO2 emissions to cut greenhouse gases. He has also said the moratorium on mining on federal land will be lifted. The election results clearly elated the coal industry – at least initially. In the two days following the election results, the price of Peabody Energy, the largest US coal producer, jumped more than 70%. Renewable energy -- wind power, solar energy, other -- will likely not fare well in the new administration. President-elect Trump is on record of opposing offshore wind turbines. Ten years ago he forced Scottish officials to disapprove a planned offshore wind farm that would have impacted the visual aesthetics of the new Trump golf course in Balmedie. More recently the new president said wind turbines threaten the migration of birds, called them bird killers. His views on other forms of renewable energy are not more positive. He has said that the concept of global warming was created by and for the Chinese in order to make U.S. manufacturing non-competitive – though recently he backed off a bit saying there could be some connectivity between human activity and rising global temperatures. Shale will clearly be a winner. Expanding domestic shale development appears to be the primary strategic objective of the incoming administration. Shale development is perceived as the catalyst – the cutting edge technology – for accelerating America’s energy independence. Huge recoverable oil and gas shale resources are seen waiting to be tapped by increasingly competitive producers. This reflects the huge productivity gains that have been made in hydraulically forcing oil from shale and the decreasing breakeven cost of shale production, which in some acreage has now fallen to $40 per barrel and lower. Shale development in the US will likely soar over the next few years – with investment funding flowing into the sector.